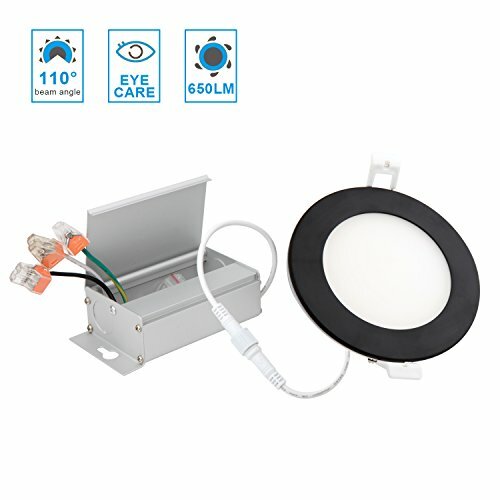 4'' LED Integrated Ultra Slim Recessed Lighting Kit 8 Watts Energy Star IC Rated Dimmable Damp Location Black Finish (1Pack 3000K Warm White, Black Finished) by LiteHue at Defy Now. MPN: DJ-D4--S3-30K-1B. Hurry! Limited time offer. Offer valid only while supplies last. 5-YEAR WARRANTY - We are confident in our high-quality LED products, 100% satisfaction or your money back! If you have any questions about this product by LiteHue, contact us by completing and submitting the form below. If you are looking for a specif part number, please include it with your message.